Edge Sporting Management’s Charlie Fagg has secured a factory drive for Mclaren in the 2018 British GT Championship driving the GT4 570s. McLaren will run two factory assisted entries in the British GT Championship’s GT4 class next year, and has signed four new young drivers to crew them. 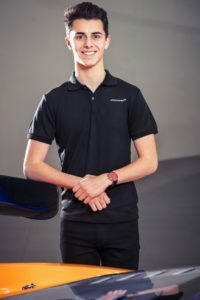 McLaren GT unveiled its remodelled young driver programme at its Woking HQ last week, as well as its plans for two 570S GT4 machines to run in the full British GT4 division next year, with Charlie Fagg being featured as one of the drivers. 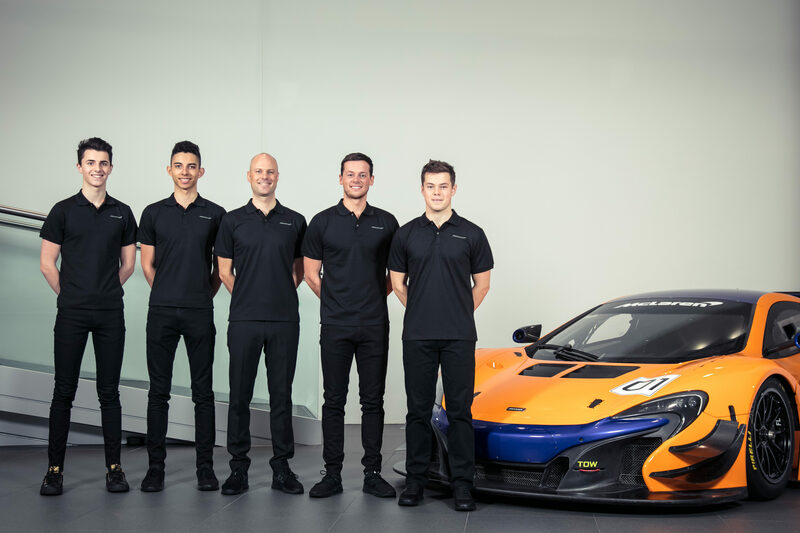 McLaren’s new young drivers are former Beechdean Aston Martin GT4 racer Jordan Albert, GT Cup graduate Lewis Proctor, British GT4 race-winner Charlie Fagg and Historic Formula Ford star Michael O’Brien. The exact driver line-ups for the two cars has yet to be decided, as has which team will field them. Factory GT3 racer Rob Bell will act as mentor for the four drivers. McLaren Automotive CEO Mike Flewitt said: “The McLaren Automotive Young Driver Programme has been established to help gifted young drivers realise their motorsport ambitions: if they have talent, regardless of their background, we want to be there to guide them and foster their racing skills.